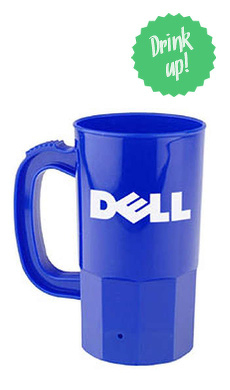 The Reusable Plastic Cup is a great way to have your logo displayed over and over. This dishwasher safe cup is great for being used in homes and able to show off your company and instill it in the mind of your clients multiple times a week. These cups have a durable plastic making it difficult for a cup to break in typical routine tasks. The high definition full color printing will make it able to see bright vivid colors with great detail. Great for meetings and gatherings to take home. Free set-up. Also available in 16 oz.